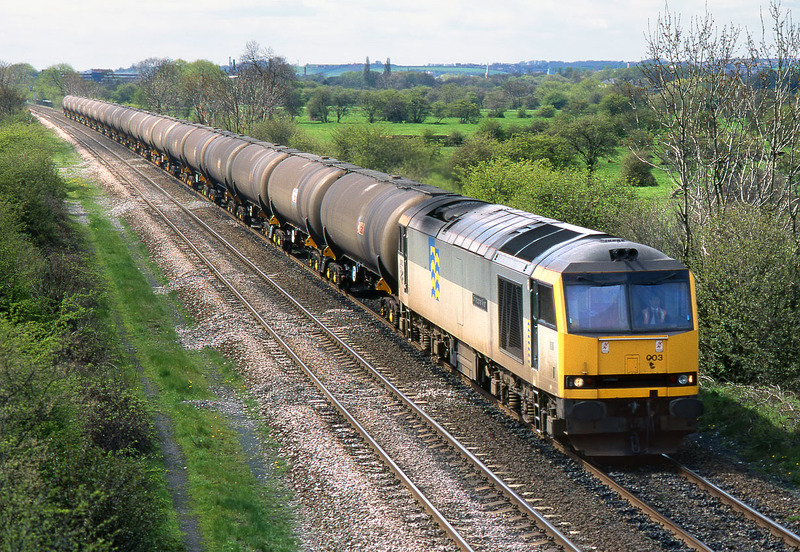 60003 Christopher Wren passes Clay Mills (Hargate) on 25 April 1996 with the 6E54 10:37 Kingsbury to Humber oil empties. There was very little interest in the Class 60s at this time, as they were the new traction that was replacing such vintage locos as the Class 20s. Two decades later the situation is slightly different!